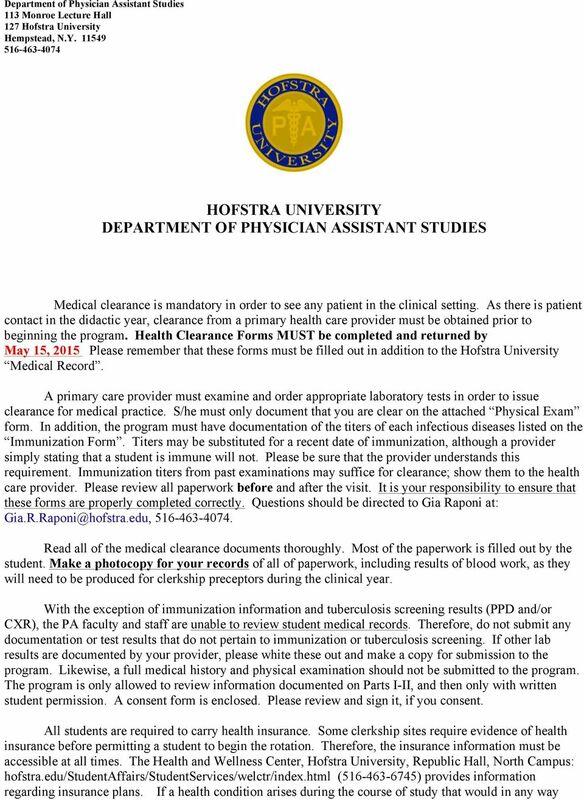 Download "HOFSTRA UNIVERSITY DEPARTMENT OF PHYSICIAN ASSISTANT STUDIES"
2 alter the ability to perform in the clinical setting, the student is responsible to notify the director of the program immediately. 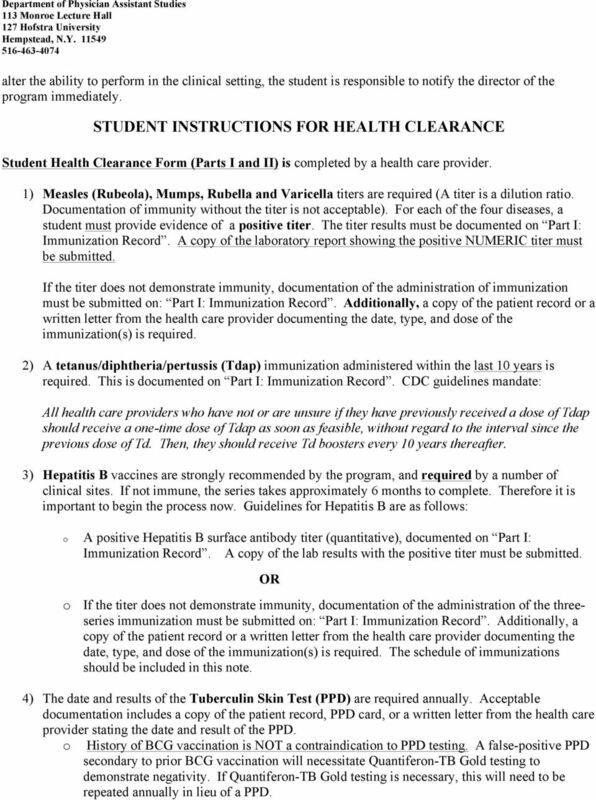 STUDENT INSTRUCTIONS FOR HEALTH CLEARANCE Student Health Clearance Form (Parts I and II) is completed by a health care provider. 1) Measles (Rubeola), Mumps, Rubella and Varicella titers are required (A titer is a dilution ratio. Documentation of immunity without the titer is not acceptable). For each of the four diseases, a student must provide evidence of a positive titer. The titer results must be documented on Part I: Immunization Record. A copy of the laboratory report showing the positive NUMERIC titer must be submitted. If the titer does not demonstrate immunity, documentation of the administration of immunization must be submitted on: Part I: Immunization Record. Additionally, a copy of the patient record or a written letter from the health care provider documenting the date, type, and dose of the immunization(s) is required. 2) A tetanus/diphtheria/pertussis (Tdap) immunization administered within the last 10 years is required. This is documented on Part I: Immunization Record. CDC guidelines mandate: All health care providers who have not or are unsure if they have previously received a dose of Tdap should receive a one-time dose of Tdap as soon as feasible, without regard to the interval since the previous dose of Td. Then, they should receive Td boosters every 10 years thereafter. 3) Hepatitis B vaccines are strongly recommended by the program, and required by a number of clinical sites. If not immune, the series takes approximately 6 months to complete. Therefore it is important to begin the process now. Guidelines for Hepatitis B are as follows: o A positive Hepatitis B surface antibody titer (quantitative), documented on Part I: Immunization Record. A copy of the lab results with the positive titer must be submitted. 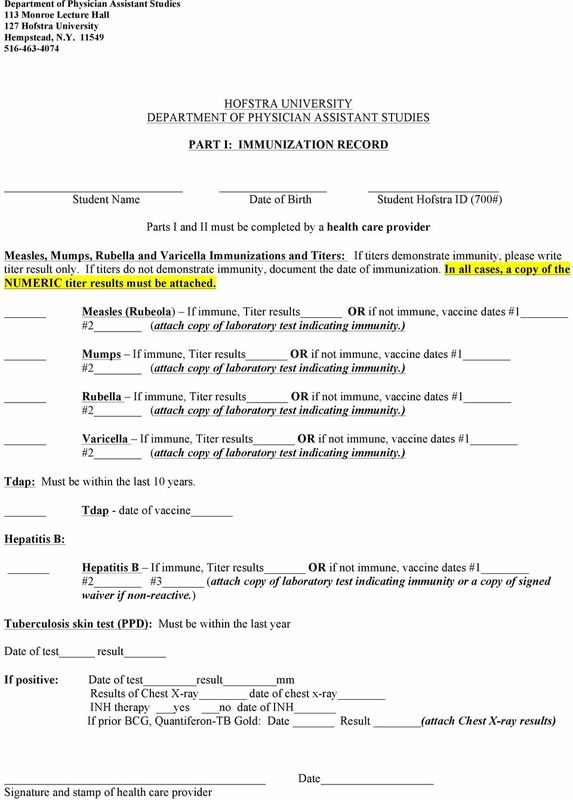 OR o If the titer does not demonstrate immunity, documentation of the administration of the threeseries immunization must be submitted on: Part I: Immunization Record. Additionally, a copy of the patient record or a written letter from the health care provider documenting the date, type, and dose of the immunization(s) is required. The schedule of immunizations should be included in this note. 4) The date and results of the Tuberculin Skin Test (PPD) are required annually. Acceptable documentation includes a copy of the patient record, PPD card, or a written letter from the health care provider stating the date and result of the PPD. o History of BCG vaccination is NOT a contraindication to PPD testing. A false-positive PPD secondary to prior BCG vaccination will necessitate Quantiferon-TB Gold testing to demonstrate negativity. If Quantiferon-TB Gold testing is necessary, this will need to be repeated annually in lieu of a PPD. 3 5) A history of a positive PPD without BCG vaccination necessitates the following: 1) documentation of the positive PPD (letter from health provider or copy of patient record), 2) chest X-ray results, within one year 3) documentation of the details of prophylaxis, if applicable. Clinical rotation sites require additional PPD s during the clinical year, so all records should be retained. 6) Physical Exam: A complete physical exam must be performed by a primary health care provider. Documentation should only state the information on form PART II. A full medical history and physical examination should NOT be submitted to the program. 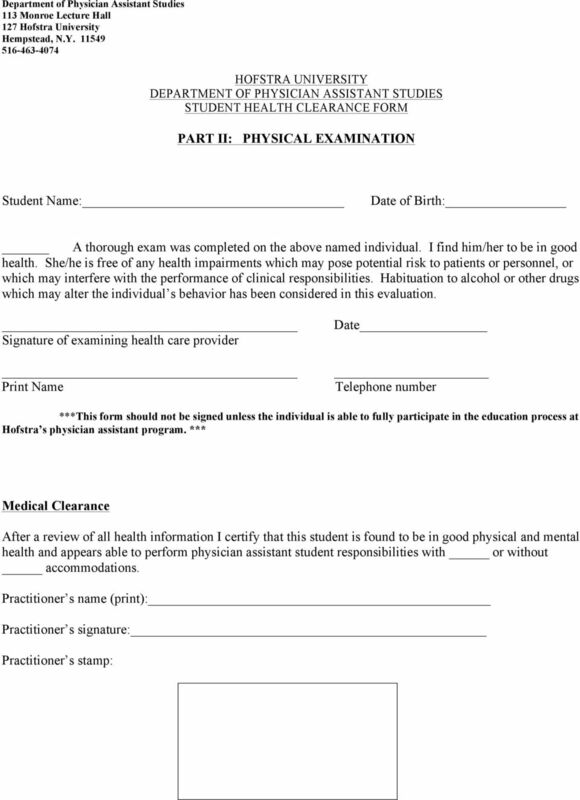 Please make sure that the medical clearance part of the form is completed by the health care provider. 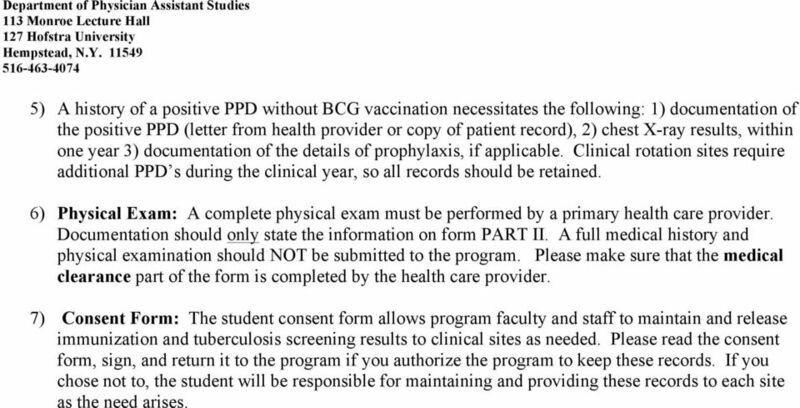 7) Consent Form: The student consent form allows program faculty and staff to maintain and release immunization and tuberculosis screening results to clinical sites as needed. 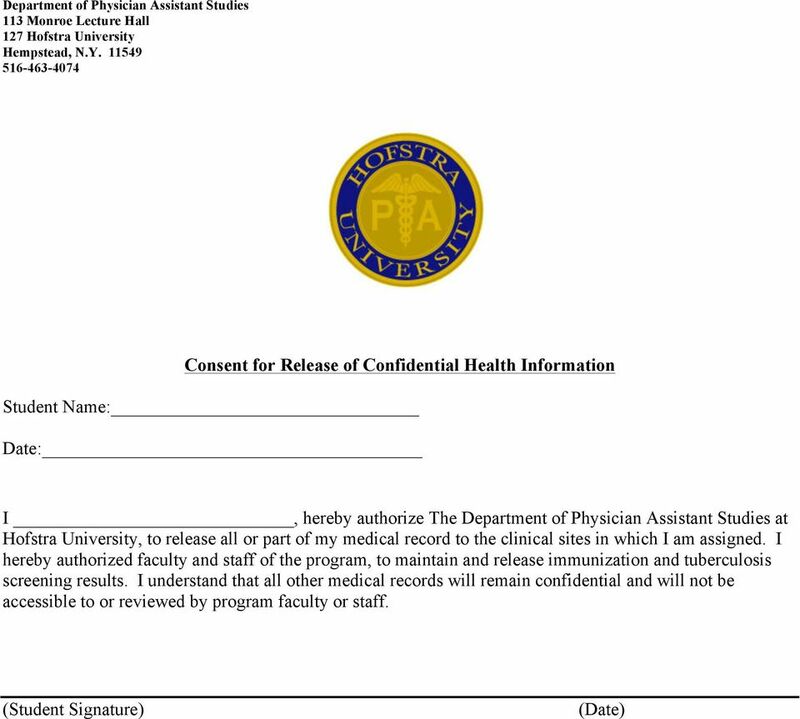 Please read the consent form, sign, and return it to the program if you authorize the program to keep these records. If you chose not to, the student will be responsible for maintaining and providing these records to each site as the need arises. Bachelor of Science - Nursing Dear BScN Student, Congratulations and welcome to! We are quite pleased to welcome you to the Bachelor of Science in Nursing program in collaboration with Laurentian University.